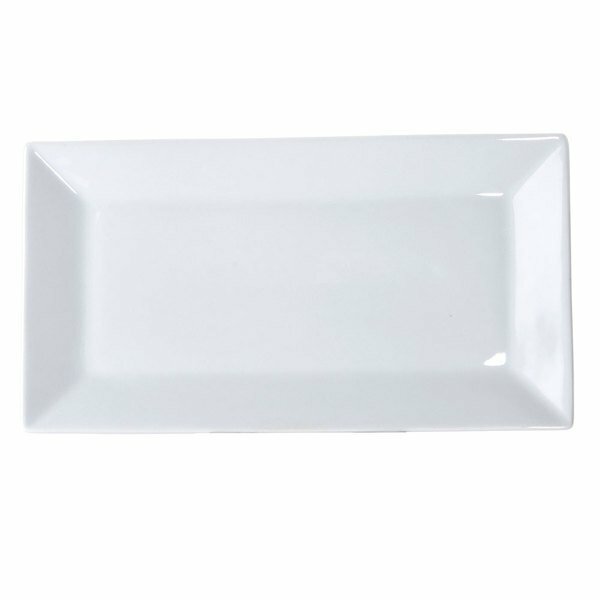 For a trendy departure from traditional dinnerware, serve your delicious appetizers, desserts, and more on this stunning 20" x 10 1/2" bright white rectangular platter. Its unique square design combines style and functionality with sides that curve slightly upward to prevent spills. This rectangular platter is perfect for sleek bars, restaurants, hotels, or catered events. A very nice bright white colored china platter that is large enough to serve any style appetizer. The plates are very sturdy and well made. . These white plates are a great quality and great buy. The white is bright and the plates are very heavy. The 20 x 10 1/2 inch platter is a great serving piece for parties.